Looking north on Main Street from the bridge across the Winnipesaukee River in Laconia, probably in 1907. Image courtesy of the Library of Congress, Detroit Publishing Company Collection. This scene is a perfect example of urban renewal gone horribly wrong. What had once been a vibrant downtown with a variety of 19th century architecture was completely leveled in the 1960s, and it was replaced with nondescript one-story commercial buildings to the left and a parking garage on the right. Even the streets themselves were dramatically changed, with bizarre traffic patterns and an extremely narrow, one-way street here that looks more like a back alley than a Main Street. Most of the buildings from the first photo were still standing by the 1950s, as seen in a photo on this Weirs Beach website. However, nothing in the block between Beacon and Pleasant Streets is still standing today, and most of the buildings further in the distance are also gone, although some were demolished before the 1960s redevelopment. 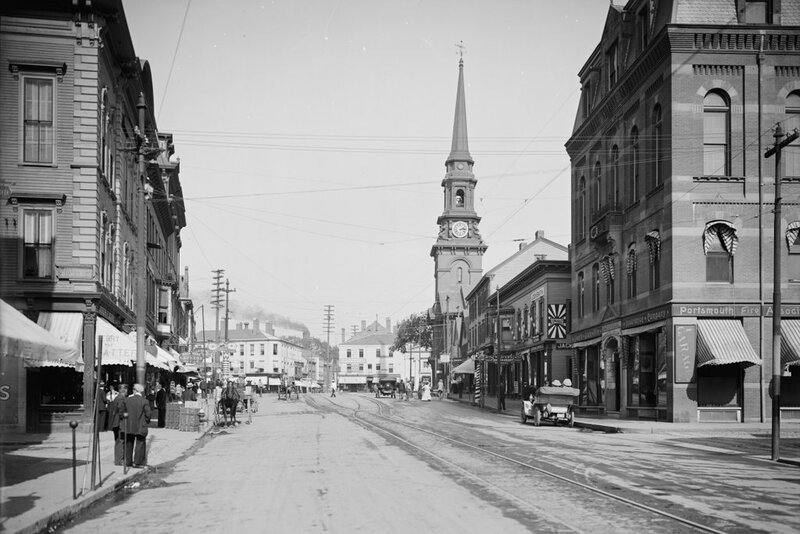 The Eagle Hotel at the corner of Main and Pleasant Streets was demolished in the 1930s, and the Unitarian Church across the street from it, whose steeple is visible near the center of the photo, was destroyed by a fire in 1938. At least one brick building, barely visible on the left side near the center of the photo, is still standing. Nearly 250 yards away from the camera, this is the only identifiable building left from the 1907 scene along this section of Main Street. 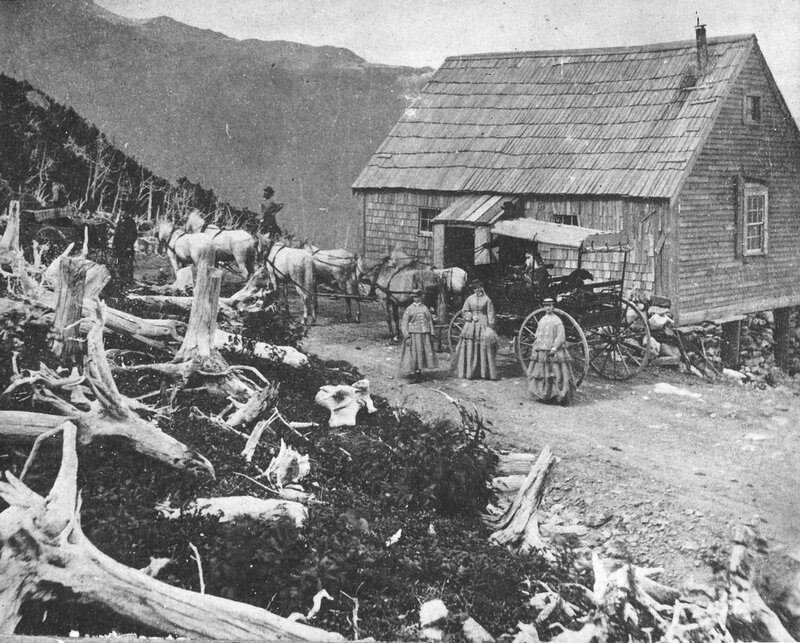 The Halfway House on the Mount Washington Carriage Road in New Hampshire, around the 1870s. 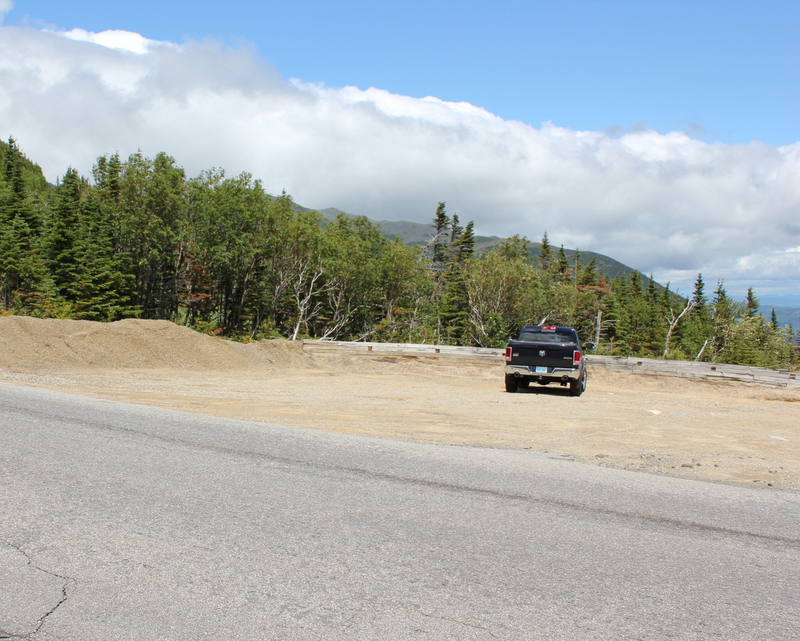 Image courtesy of the Mount Washington Auto Road. Mount Washington is the tallest peak in the northeastern United States, and it has been a popular tourist destination since the mid-19th century. By the end of the 1860s, the mountain had a hotel at the summit, along with both a cog railway and a carriage road to bring visitors to the top. The nearly eight-mile long carriage road opened in 1861, and this small building along the side of the road served an important purpose for early travelers. Known as the Halfway House, it was located about four miles up the road, hence the name, and it was used as a toll house. It was also a good resting place during the four-hour carriage ride up the mountain, and when necessary its location just below the treeline made it a refuge from the unpredictable and often dangerous weather in the alpine zone. 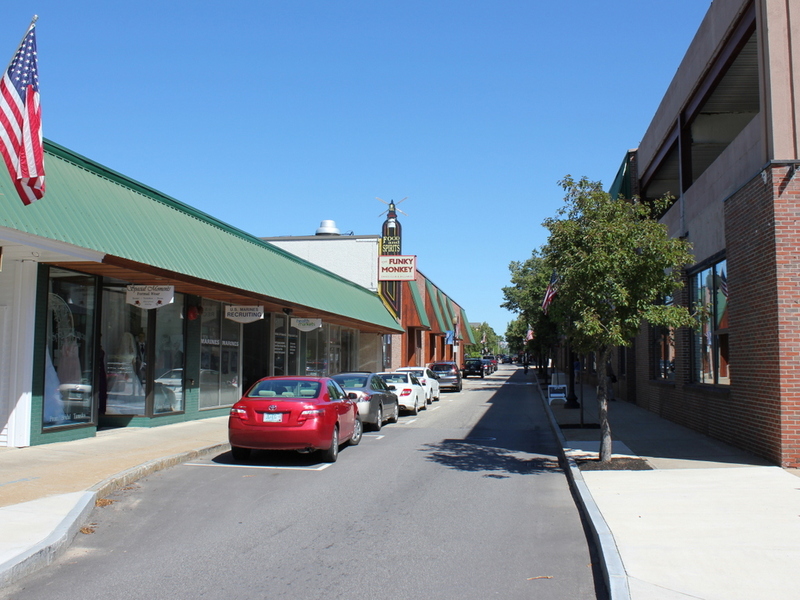 The building in the first photo was later replaced with a more substantial two-story structure. This one served the same purpose as the original, but over time it suffered from vandalism because of its isolated location, and it was finally destroyed by a fire in 1984. Today, the carriage road is now the Mount Washington Auto Road, and aside fro cars replacing horses, not much has changed about the road, which still follows the same route that was laid out in the 1850s. The drive to the summit now takes about 30 minutes, and while the Halfway House no longer stands here, the site is still used as a stopping place. It is no longer necessary to rest horses here, but the climb is still taxing for cars, so the site here is used by drivers heading up the mountain to cool their radiators, and by those heading down to cool their brakes. 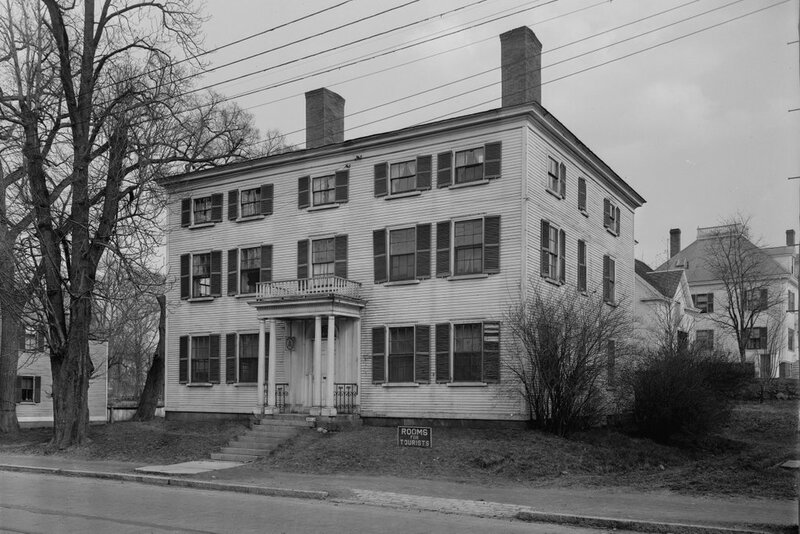 The Captain Barnes House in Portsmouth, NH, on March 19, 1937, immediately following its conversion into a gas station. Image courtesy of the Library of Congress, Historic American Buildings Survey collection. As explained in the previous post, this building was once a 1808 Federal style mansion, owned by two different Portsmouth sea captains in the early 1800s. 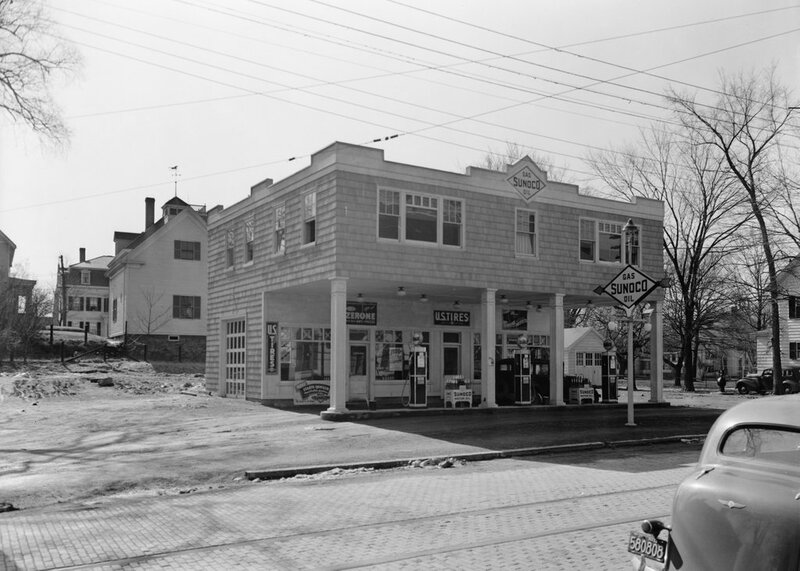 However, in 1936-37 it was converted into a Sunoco station, leaving very little of the original structure. However, in a way the renovated building has become historic in its own right, as an example of a 1930s service station. There have been some changes since the 1937 photo was taken, though. The shingles have been replaced with vinyl siding, and the gas pumps are gone, along with the windows on the right side and the garage door to the left. 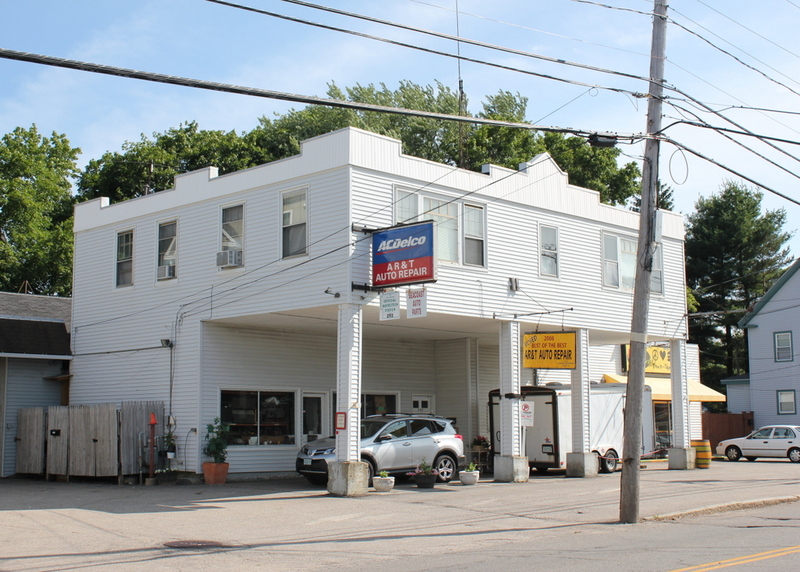 The building now has additions to the left and right, and it is no longer a Sunoco station, but it is still in use as auto repair garage, with a restaurant in the addition to the right. The Captain Barnes House on Islington Street in Portsmouth, on May 14, 1936. Image courtesy of the Library of Congress, Historic American Buildings Survey collection. Although the term “adaptive reuse” didn’t exist in the 1930s, the Captain Barnes House would certainly be an extreme version of that concept. It’s hard to tell today, but the auto repair shop in the 2015 photo is the same Federal style mansion from the 1936 photo, just altered beyond recognition. The house was built in 1808 for Samuel Chauncy, one of the many merchant ship captains who lived in Portsmouth in the early 1800s. In 1813, he sold the house to Lewis Barnes, a Swedish immigrant who was also the captain of a merchant ship. Barnes, for whom the house is named, lived here until his death in 1856, and the house remained in the family until 1908. Between 1908 and 1936, the house changed hands four times, steadily falling into disrepair in the process. The sign out front advertises “Rooms for Tourists,” but given the condition of the building at the time, these would have likely been very low-budget rooms, hardly comparable to more reputable hotels of the time, such as the Rockingham Hotel. By the time the first photo was taken, the building was probably already a candidate for reconstruction, because within a year it was completely gutted, cut down to two stories, and converted into a Sunoco station. 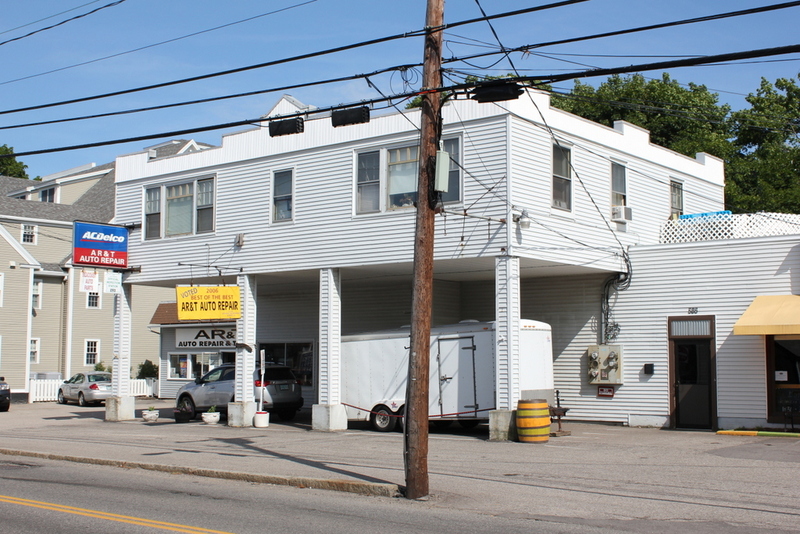 Today, it is an auto repair shop, with post-1930s additions on either side of the building. Thankfully, the house was carefully documented by the Historic American Buildings Survey prior to its conversion, and a number of photos and architectural plans are available here through the Library of Congress. 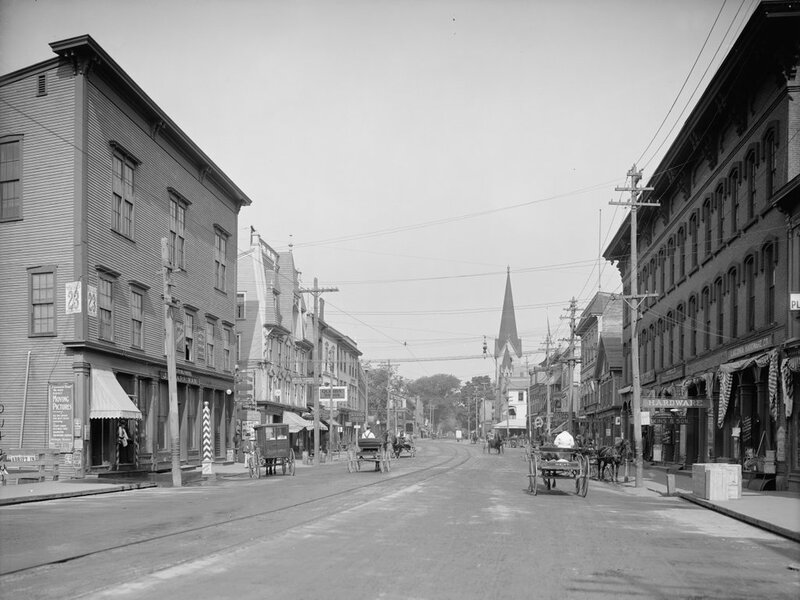 Market Square in Portsmouth, looking east from the corner of Congress Street and Fleet Street around 1900-1910. Image courtesy of the Library of Congress, Detroit Publishing Company Collection. Unlike some of the other street views of Portsmouth, this scene has actually seen some significant changes over the past century, although two prominent historic buildings from the first photo are still standing today. 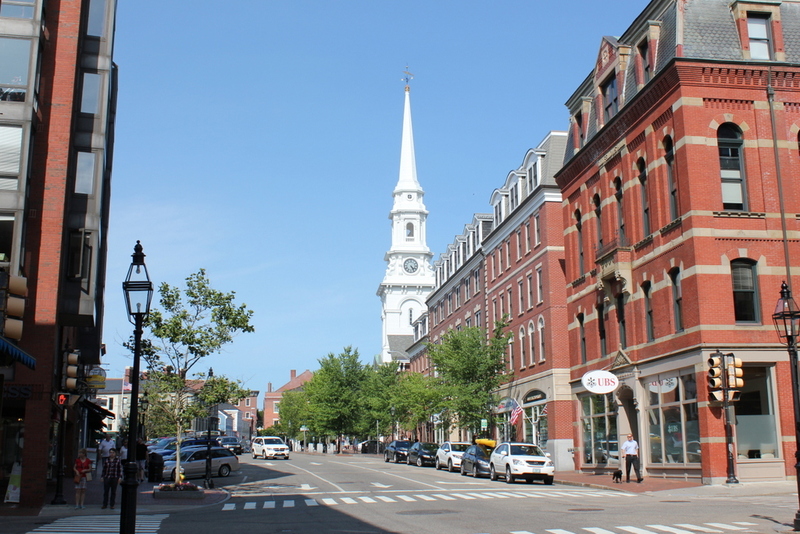 In the center of the photo is the North Church, which was built in 1854. Perhaps owing to the relatively small scale of the old city, the “North” and “South” churches are actually only separated by a single city block, although as time went on it was doctrine rather than distance that distinguished one from the other, with the South Church becoming Unitarian, while the North Church remained more conservative in its theology. The congregation has met at this site in Market Square since 1712, and over the years this area became the main commercial center of the city. Some of the oldest surviving commercial buildings in the city can be seen from in front of the church in this post. The other prominent historical building is the National Block, on the far right side of the photos. It was built in 1878 by Frank Jones, a mayor, Congressman, and businessman who also owned the Rockingham Hotel, the Hotel Wentworth, and the humbly-named Frank Jones Brewery. When the first photo was taken, the first floor of the National Block was used by both the Granite State Fire Insurance Company, with the Odd Fellows occupying the upper floors. Since then, the interior has since been extensively renovated, but its exterior appearance is largely unchanged, and its style has been imitated in the modern commercial buildings between the National Block and the church. 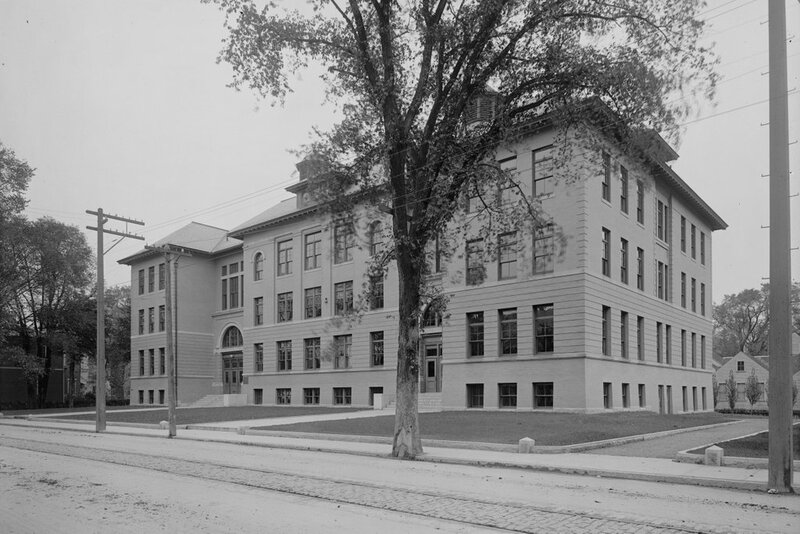 The old Portsmouth High School building on Islington Street, around 1907. Image courtesy of the Library of Congress, Detroit Publishing Company Collection. Portsmouth’s old high school building opened in 1905, and like so many other historic buildings in the city it still stands today. It was last used as a high school in the 1950s, but it has since been converted into apartments. From this angle, the building’s appearance hasn’t changed much, although at some point the school was expanded in the back, with a matching addition on the southwest corner, giving the formerly symmetrical building somewhat of an “L” shape from above. 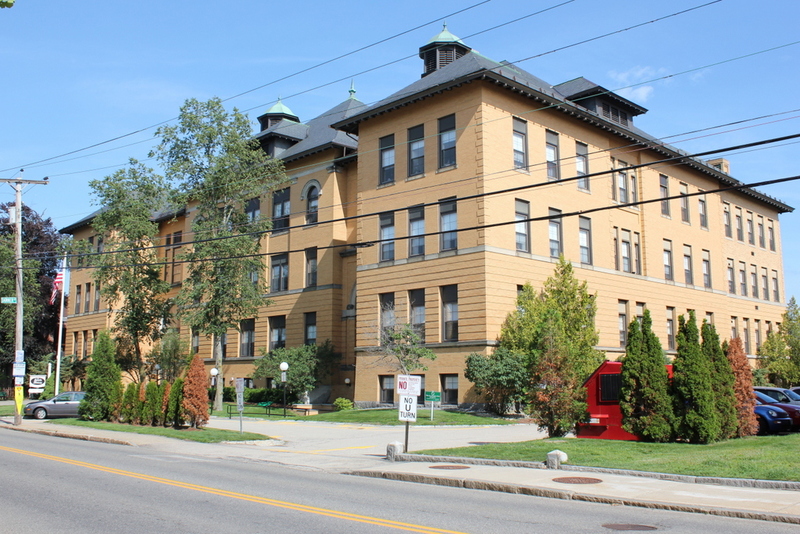 It is located right next to the much older former Portsmouth Academy building, which opened in 1809, nearly two decades before the city’s first public high school was established.